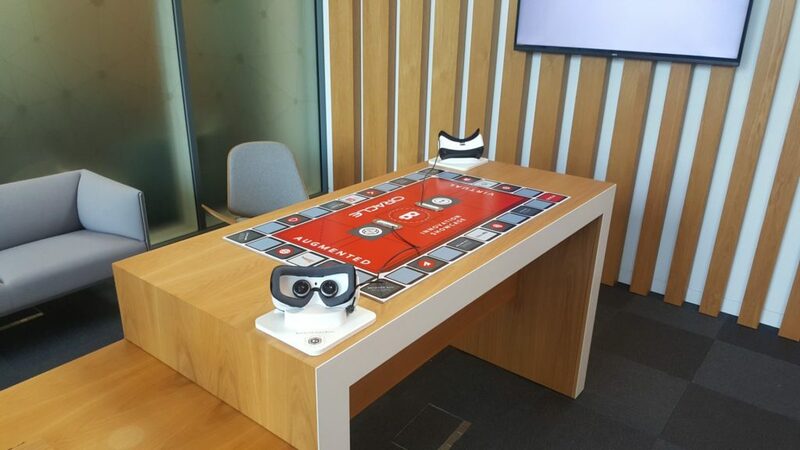 The Oracle team in Reading contacted Zubr VR to discuss ideas for a virtual reality installation within their main customer reception area. 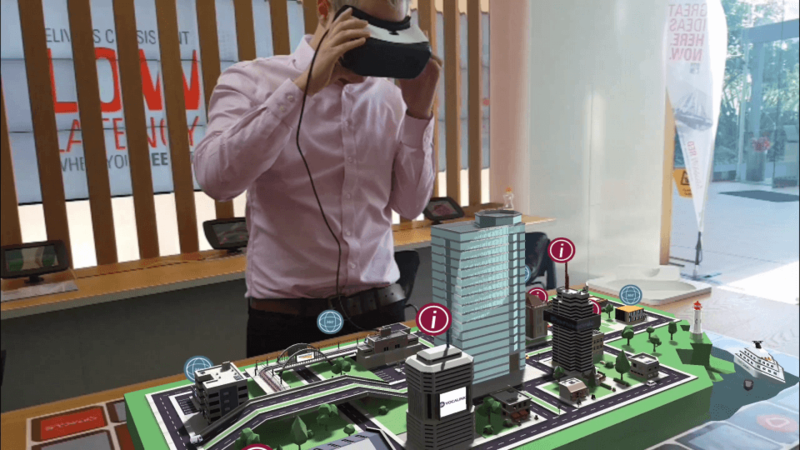 Following an ideas workshop to explore the advantages and disadvantages of different types of virtual and augmented reality, the team were enthralled by our vision for creating a pop-up, augmented cityscape to show off Oracle’s varied clientbase. Viewers see an incredible, cartoon-style 3D city pop up on the desk in front of them, with moving traffic and trains. 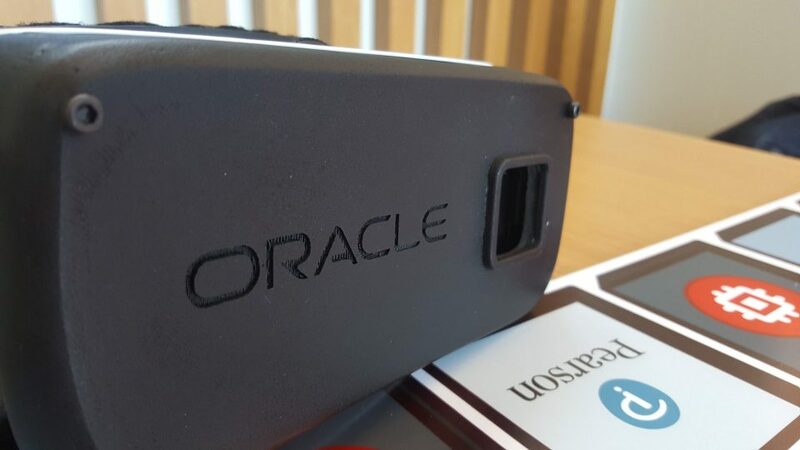 Across the city are a number of Oracle’s showcase clients; such as Network Rail, Kent County Council and Yellow Dog. When looking at a showcase client building, viewers can activate a ‘fly-down,’ which will take them to an ultra-high resolution 360 photo capture. From designing the large, boardgame-inspired tracking image and creating an intricate 3D traffic system for the virtual city, to capturing 100-megapixel 360 photos and installing modified Gear VR headsets – Zubr’s designers and developers completed the entire project inside of two months.